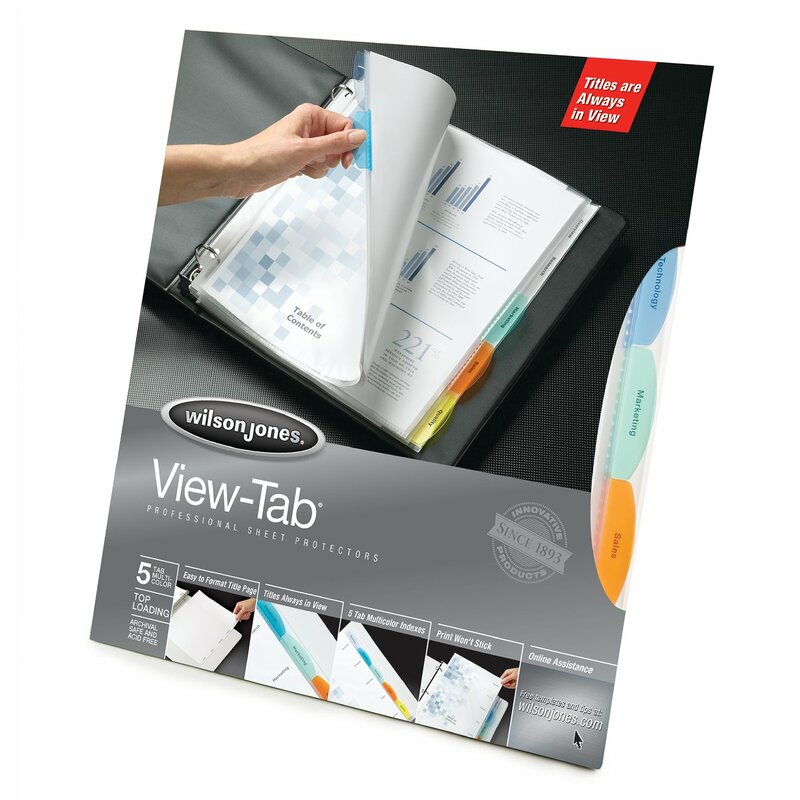 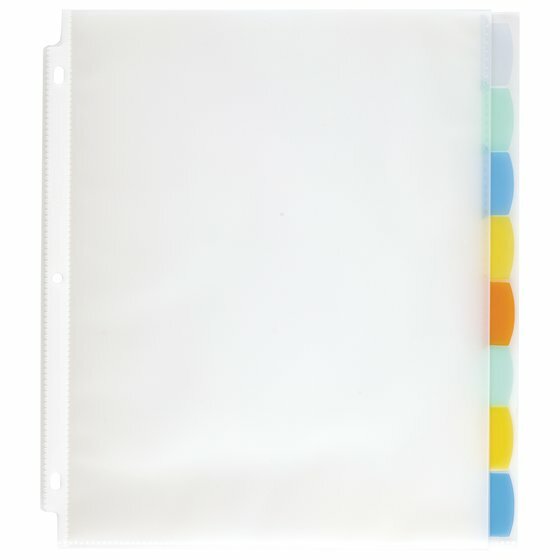 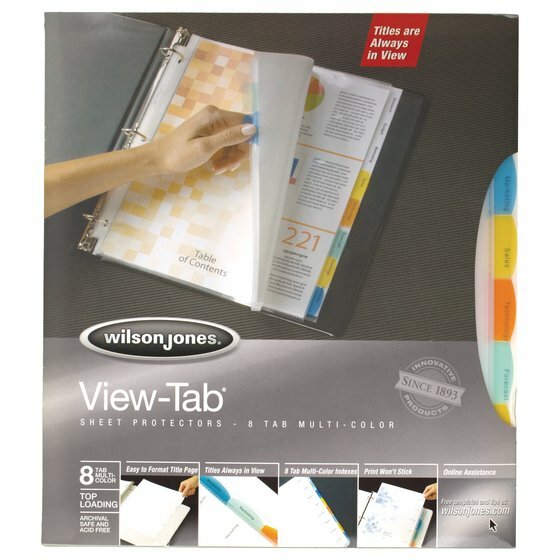 Sheet protectors with specially designed View-Tab® titling keeps your pages neat and clean while simplifying organization. 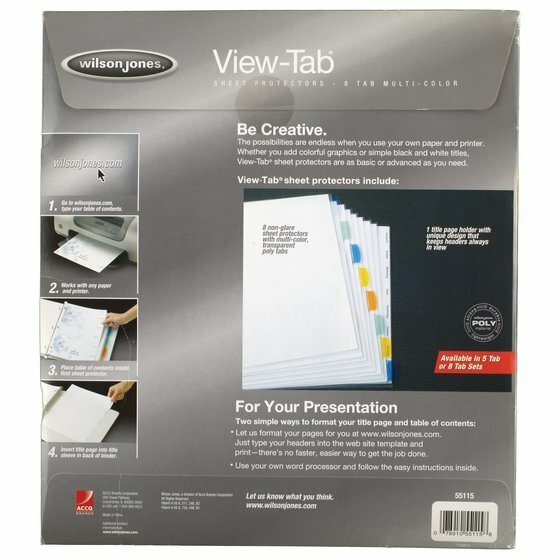 Perfect for adding a polished look to any multi-section presentation. 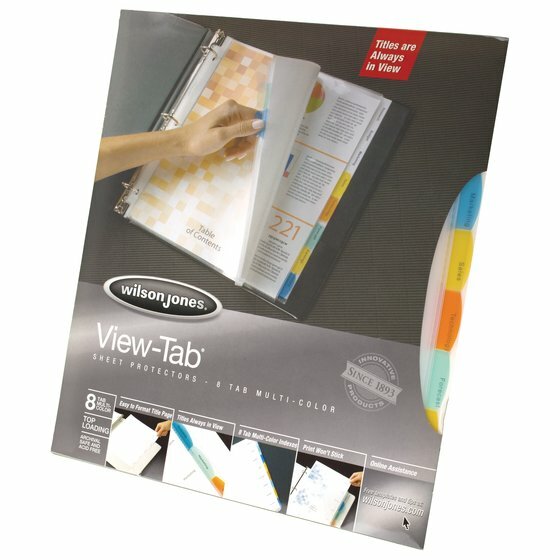 View-Tab® lets you print all tab titles on a standard sheet. 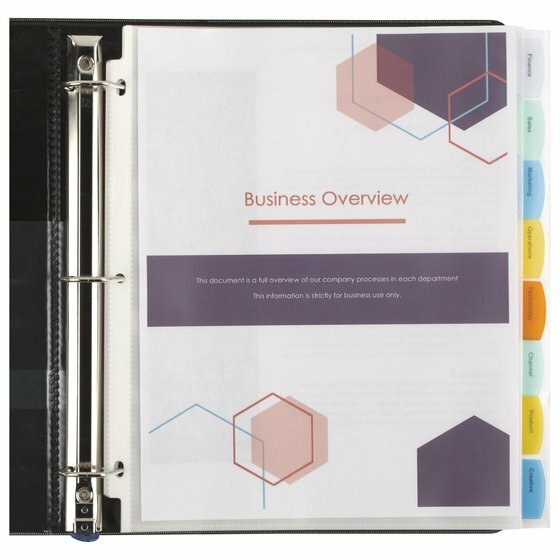 Insert the full sheet in the back of a binder or folder and your titles will show through the tabs.